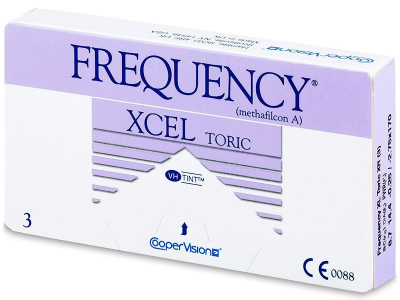 Frequency XCEL Toric XR monthly contact lenses are designed to correct high levels of astigmatism. They are designed with thin edges to reduce friction and increase comfort. Each package contains three lenses. 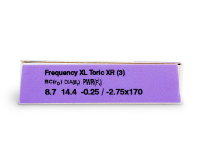 Frequency XCEL Toric XR are produced by CooperVision and are intended to correct higher degrees of astigmatism. They are a revolutionary product for people who have been dependent only on glasses. 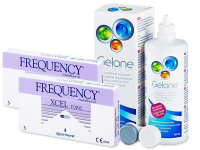 Frequency XCEL Toric XR contact lenses are suitable for users with high cylindrical values (over –2.25). 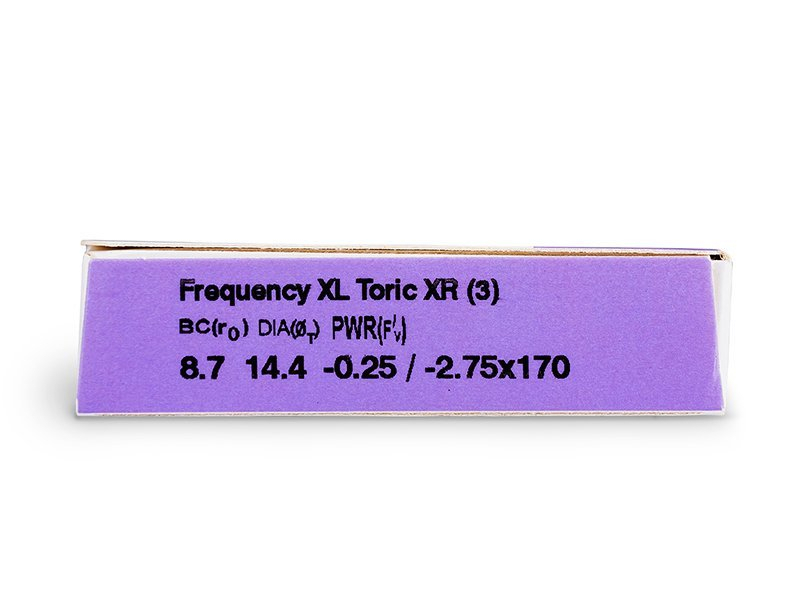 The well-designed edges of Frequency XCEL Toric, together with their unique UltraSYNC technology, ensure outstanding comfort. The lenses also feature an inside-out indicator, which makes it easier to determine the correct position of the lens for application. 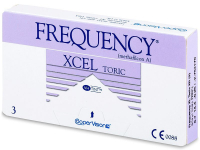 Frequency XCEL Toric XR are designed only for daily wear with a replacement schedule of 30 days. The lenses must be removed every evening and disinfected in solution. 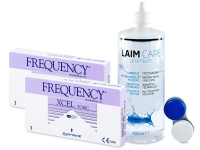 The lenses are NOT recommended for extended or continuous wear. This package contains three lenses. Not the cheapest of the toric lenses, but I've had a great experience with these lenses. Very comfortable and easy to wear.